I always have a great experience at this Hollywood feed. They know me :) I like that and they are always helpful if I have any questions. Prices are great on dog food and treats. Thank you so much for the fantastic review, Crystal! Our team strives to go above and beyond to provide excellent service to every customer, to the point that they often feel like part of the pack! We're thrilled you're pleased and hope to see you again soon! Excellent customer service. A bit disappointed that the store doesn’t have all of the products the larger store does. But it’s nice that it’s close by. Thank you so much for the great review, Wanda! Our team strives to provide excellent service during every visit! If there's ever a product you're unable to find in one of our stores, our sales associates are happy to special order it for you from one of our other locations! We're thrilled you're pleased with our service and hope to see you again soon! 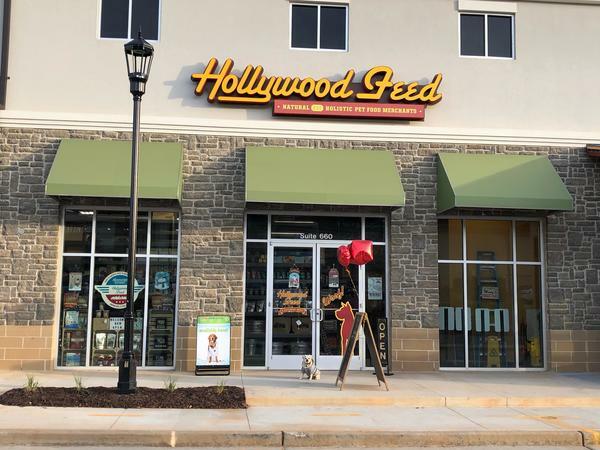 We LOVE Hollywood feed, we’re so excited about this new location close to our house. As always, the ladies there were kind and very helpful. Olga, thank you for the amazing review! We're thrilled to hear that you're happy about our new store and that you're pleased! We'll be looking forward to your next visit! I love this store, and they remember me when I come in. Thanks for the fantastic review, Meg! We love seeing familiar faces, and often our customers become like part of our family! Come back and see us again soon! Derrick, thank you for the amazing review! We're thrilled to hear that you are pleased and will look forward to your next visit!